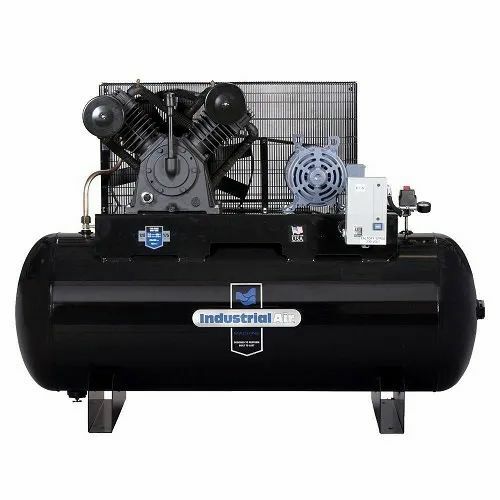 We are the leading manufacturer of Industrial Air Compressors which are manufactured with high grade raw material. These products are tested as per the international standards of quality to ensure high performance without any delays. We "Reliable Equipments" has been found in 1998. We have been manufacturing, supplying and exporting a comprehensive wide range of Air Receivers, Air Dryers, Aftercoolers & Drain Valves. Known for their longer functional life, optimum performance and reliable operations, our dryers, aftercoolers & filters are manufactured with the use of quality tested material procured from trusted market vendors. Furthermore, we utilize high-grade metals and advanced machines to manufacture. Our all products are extensively used in mechanical, textile, auto mobile, engineering, pharmaceuticals, hospitals, refineries, petrochemicals and other allied industries. Mr. T. Simon David is the owner of this company. A client-centric business firm, we are engaged in providing our clients with products that are manufactured in line with prevailing quality standards. We make sure to customize our each product in terms of sizes, dimensions, specifications and thicknesses. Furthermore, with the support of our state-of-the-art infrastructure base, we are able to execute our entire operations in an efficient and streamlined manner. With the support of our wide distribution network, we have been able to expand our operations in the markets of Caribbean, East/Middle Africa, South/West Africa, East Europe and Middle East.